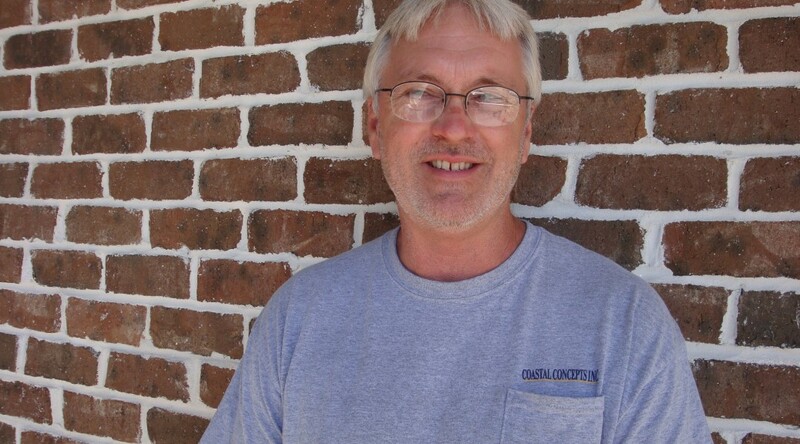 Robert Clements, founder and sole owner of Coastal Concepts Inc., was born in Savannah but spent his formative years in Marlow, GA., a land locked town NW of Guyton. He returned to his hometown in 1970 where he was able to pursue his interest in all things “boat” and was able to indulge in water sports, a particularly favorite pass time. In 1978, he started making acrylic windshields on a homemade bending table during his spare time. He posted an ad in a local newspaper and found the response so overwhelming that he had to decide between his day job and his hobby. He told me that he “likes everything he does” and went on further to say that “it doesn’t seem like work if you enjoy what you do”. A good thought to live by on all accounts. Trained by a certified installer using Sika Flex products and further certified by Sika Flex themselves to install glass and acrylic panels, Robert keeps busy all year around and practically every day of the week. He tries to leave Sundays free for family time and/or working on cars as he is passionate about building Hot Rods and everything Motocross. Robert has 3 sons and a daughter. Two of his boys are college students still living at home; the older of the two at 21 is studying Structural Engineering and the other at only 18, is taking a course in Certified Welding. Though known to us for his marine related repair skills, his business also covers residential and commercial needs. He has 2 helpers for bigger jobs, though often works alone and primarily focuses on glass replacement, plastic fabrication, finish caulking, mirrors, shower doors, glass scratch removal & polishing, and automatic door repairs. The biggest job he undertook here at TMI was on a 154 ft Alloy motor yacht where he replaced all the windows on the superstructure, the largest being around 900 lbs. Though he has no plans at the moment to expand, it seems to me, perhaps he should!